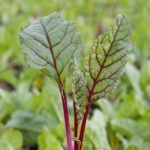 Can swiss chard be used after a killing frost? I was just out cleaning up my garden, including pulling out all the beautiful Swiss chard. It actually still looks quite nice, but everything else, except for beet greens and carrots died in the recent nights of frost. I hate to throw the chard out, but by the same token, don't want to use it if it isn't safe to use after the plant has experienced frost. It is fine. 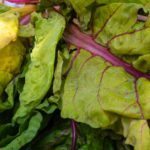 Chard can actually survive quite low temperatures and some people even believe that its flavor is improved after going through a good frost or two.